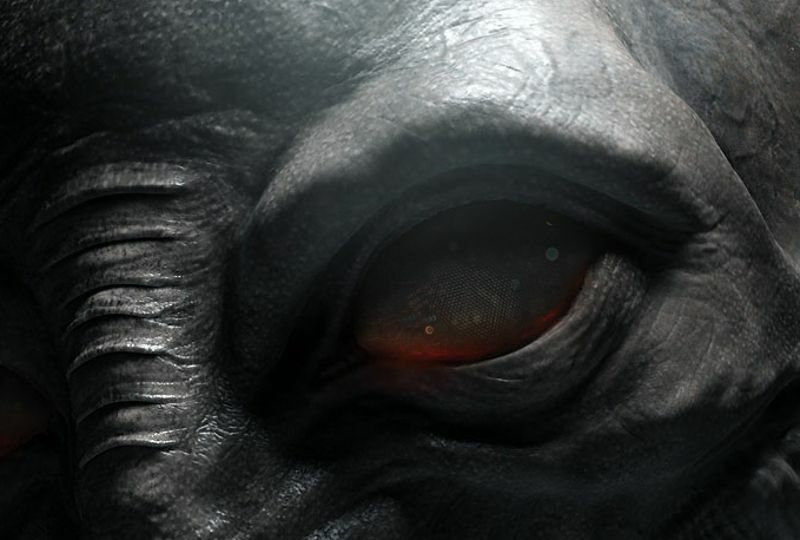 The most enduring symbol of extraterrestrial life has to be the gray alien. With a vaguely humanoid body and strangely elongated features, grays are just human enough to be unnerving to most individuals and have, for the most part, replaced the idea of little green men from Mars. Some people feel that this depiction of life is ridiculous and might even disprove various close encounters. Skeptics see parallels in science fiction stories dating back to the 19th century. A Swedish novel from 1933 describes a race of extraterrestrials that are very similar to the ever-popular grays. Others claim that portrayals of alien life being similar to humanity are a sign of arrogance. Evolution, according to these skeptics, doesn’t necessarily have to take place in the same way that it has on Earth. Admittedly, the idea of grays seems pretty far-fetched. Legitimate scientists have taken steps to distance themselves from such portrayals of extraterrestrial races. However, that doesn’t mean that the idea itself is bad. While most descriptions of such life forms are taken from the pages of hoaxes, that doesn’t mean that extraterrestrial creatures wouldn’t necessarily resemble anything on Earth. Indeed, Occam’s razor would seem to support this concept. No one should necessarily throw the baby out with the bath water. In fact, there is some scientific evidence for this sort of thinking. Humans are the only understood higher species. Saying that extraterrestrial civilizations would physically resemble human ones takes few assumptions. Regardless of what theory one subscribes to, it’s easy to see that there is a huge rift between legitimate astrobiological research and what detractors deem UFOlogy. Unfortunately, the latter sometimes gives the former a bad name and may involve events that could be explained away as sleep paralysis or outright dishonesty. While so-called ufologists generally focus on finding gray aliens and UFO’s, astrobiologists generally take a different route by studying the origin, evolution, distribution, and future of life in the universe (here on Earth and beyond). In other words, the two fields are worlds apart (pun intended). More to the point, astrobiologists are only interested in researching things that can actually be studied. This often involves the study of lifeforms that are microscopic in size – a far cry from a gray alien. If we ever do have a bonafide gray alien, I’m certain astrobiologists might want to study it as well. Until that happens however, I think most astrobiologists will remain skeptical regarding the existence of gray aliens. Regardless of what you believe, this leaves an interesting question unanswered by astrobiologists. If intelligent life were discovered, how would sketchy portrayals of aliens on Earth influence the psyche of those who came into contact with them for real? Only exploration and continued research will yield the answer. What are your thoughts on gray aliens, astrobiology, etc. ?